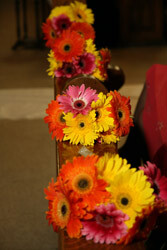 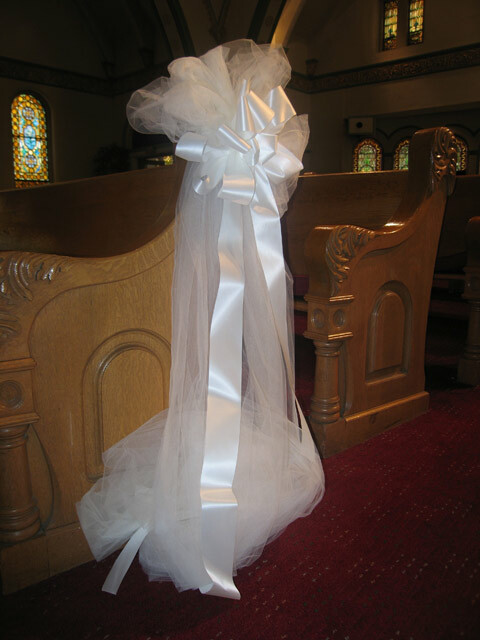 Floral Accents Added To Your Pew Bow. 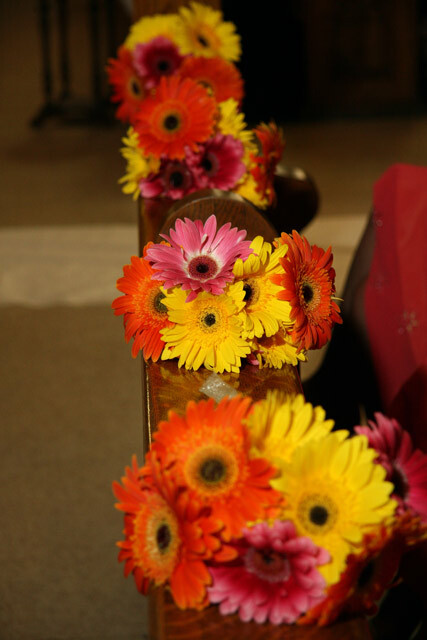 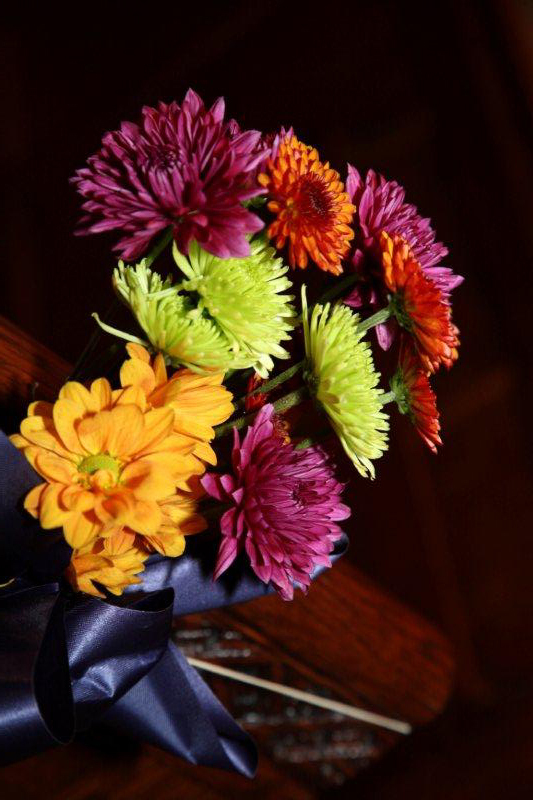 A Bouquet Of Colorful Gerbera Daisies. 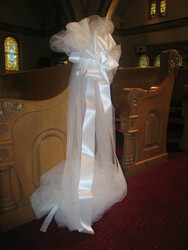 Satin And Tulle Solo Bow Close Up. 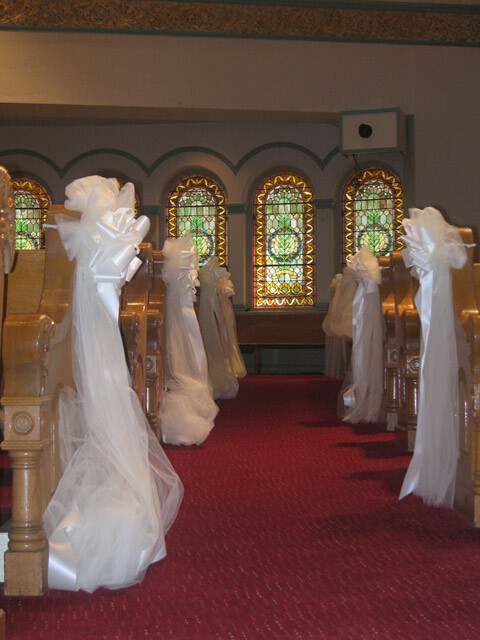 Satin And Tulle Combo For Pew Decoration. 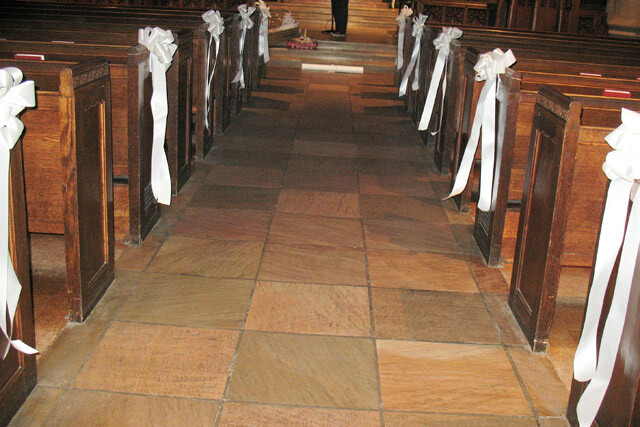 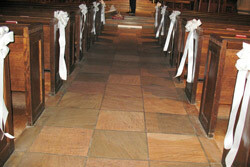 Pew Bows Displayed At Heinz Chapel.